We are the result of nature, we are born in nature and we owe our health directly to the bounty that nature provides for us. We and our pets and all living creatures automatically choose the best and most natural way of living. When we introduce unnatural aspects to our diet or our ecology we see a decline of the very thing we hold most dear, our health and that of the animals we love. A sad example of this is the epidemic of obesity that exists today on this continent. If we feed our children fantasy food, think what we are feeding our pets. Years ago dogs and cats lived out a long and healthy life without the intervention of corporations telling us how to look after them. Visits to the Vet were few indeed and usually when there was some external accident. Now with the introduction of chemicals in food, cancers and many other physical problems are surfacing well before they should. I believe that we need to go back to nature and get as close as we can to the natural way of caring for our pets. There is nothing more important than health, but it does not come from medicines, pesticides, or man-made biologicals such as vaccines. Health comes from living a balanced life…living in a loving environment; eating a great variety of fresh, minimally processed foods; breathing clean air; drinking pure water; and exercising. (Good genes also help, of course!) Health requires some effort, a willingness to learn, a trust in nature and respect for nature’s laws, and a great deal of patience. I believe that disease comes from imbalanced living. Because of the marvellous adaptibility of the life force, it usually takes years of imbalanced living to result in the manifestation of disease. True cures for disease only come about by correcting the imbalances that caused it. I believe that medicine should be avoided as much as possible. Medicine is, however, often necessary when the imbalances in life have been so longstanding as to overwhelm the incredibly complex biological systems that nature designed to maintain a healthful balance. I think it’s important to keep in mind that all medical systems are based on evolving theory. Don’t necessarily accept what is presented by “experts” nor accept the results of research as being the highest truth. Modern medicine is almost entirely about disease, so if it’s health that you’re after for your pet, then it’s important to also incorporate an approach that’s about health. Most of the so-called alternative approaches do emphasize health and are worth exploring. However, any form of medicine can be dangerous to rely on, because no one type of medical system has complete knowledge and all medical practitioners (like all other human beings) have imbalances affecting their own lives and their ability to tune in to the true needs of their patients. The financial health of a business can sometimes take priority over the physical health of the patient – a fact that’s important to keep in mind when allowing someone else to influence the health-care choices you make for your pet. Every consumer of medical goods and services should strive to be well informed. 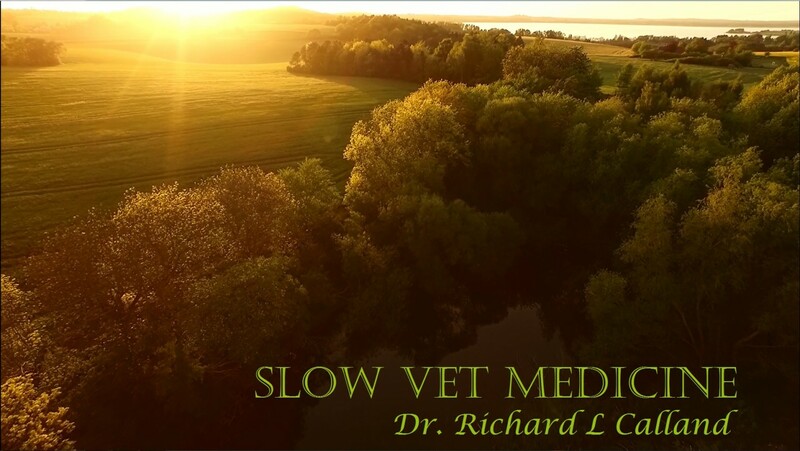 Slow Vet Medicine is an integrative veterinary practice. We offer house call services as well as scheduled appointments and telephone consultations.